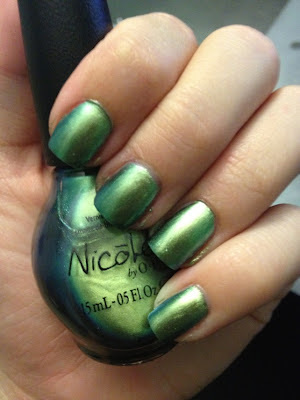 For this weeks manicure I'm sporting Nicole by OPI 2012 Target Fall Collection color Mer-Maid for Each Other. I have to say I am absolutely loving this color! It is such a fun and complex color. 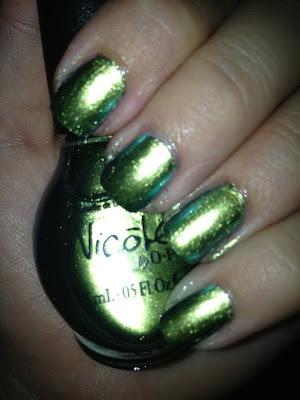 The duo-chrome in the polish makes for an interesting shade of green, blue and gold. The formula allows for smooth application as well as giving a nice opaque color with just one coat! But of course from habit I did apply two coats. I seriously can't stop staring at my nails! This color is just to amazing!